The annual exhibition ran from the 1st May to 15th June in 2014. Showborough House opens its garden every spring to host the Affordable Garden Art Competition and Exhibition. A wide variety of good but affordable sculpture can be seen in the natural setting of the one and a half acre garden, which has been renovated over the last ten years. There are works in different sizes, styles and media, including wood, metal, stone, glass, ceramic and resin. 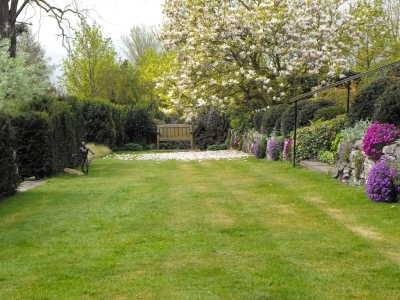 Showborough is an informal venue, where visitors are encouraged to enjoy the exhibits and the garden at their own pace, and perhaps to sit and relax with a cup of tea or coffee. Showborough House is a non-profit venture; any purchases provide maximum support to the artists.